Last week I made a really brilliant discovery and one that I sooooo wish I had known about before we had little Jake. Now that little Jake is in to a routine (thank you CLB - read my post about it here), I have had more time to myself to browse the internet and watch the many TV shows I have recorded on Sky+ (I know - I'm so rock and roll). 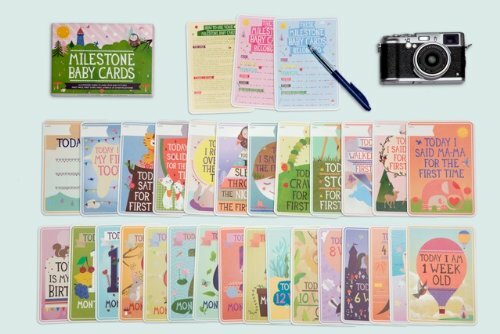 As a result of this, I stumbled across the amazing Milestone Cards. After shopping around I purchased a set from Amazon.co.uk for £12.99 (free delivery) - bargain! They finally arrived and I was soooo excited! Immediately I could tell that the cards were of good quality. They came in a handy, sturdy and attractive box that is perfect to keep them safe. 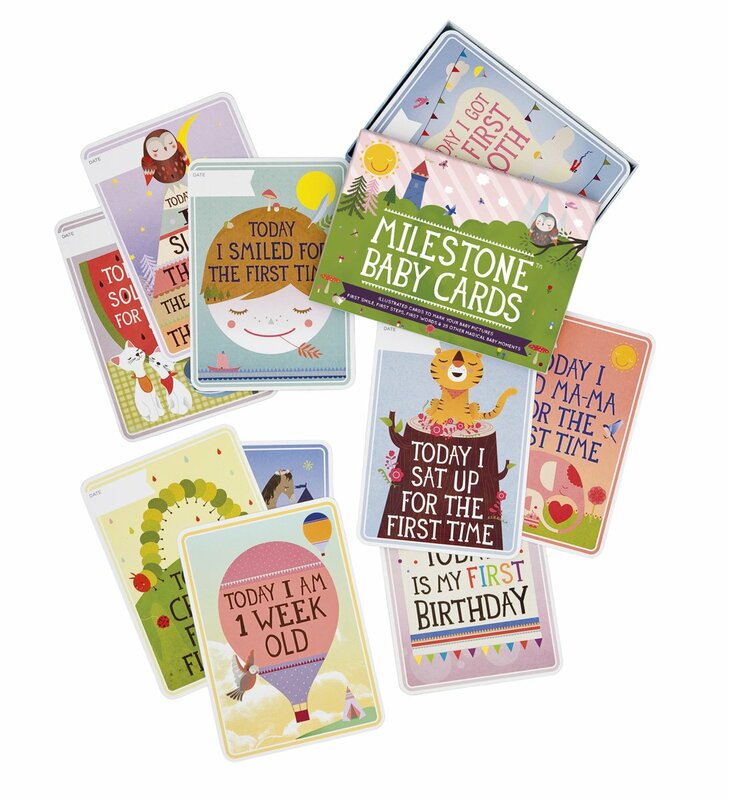 Overall - these cards are brilliant and would make a really gorgeous gift for new parents. I wish we'd had them sooner. I'll have to make sure that I get a set of the toddler cards in plenty of time so I can mark all those achievements as Jake grows. How do you capture those memorable milestones? Sunday Fun & Shopping rants!